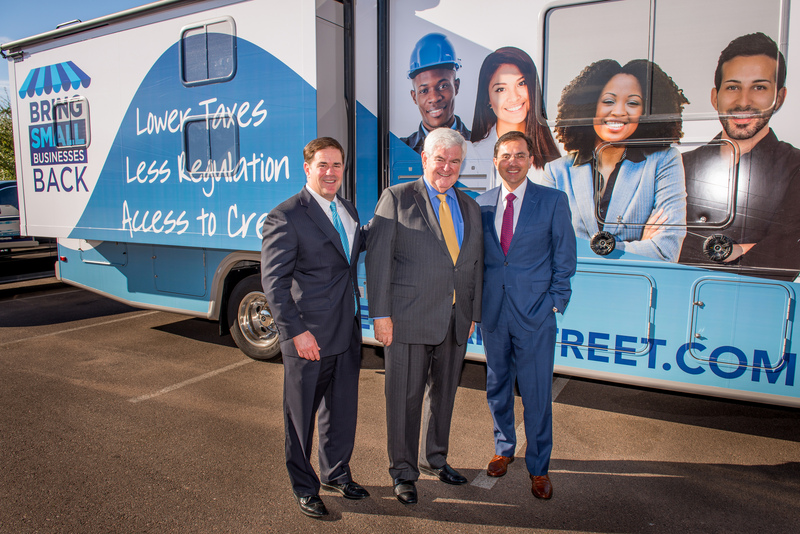 The Job Creators Network’s “Bring Small Businesses Back Bust Tour” stopped into Chandler, Arizona on Tuesday, September 27th. 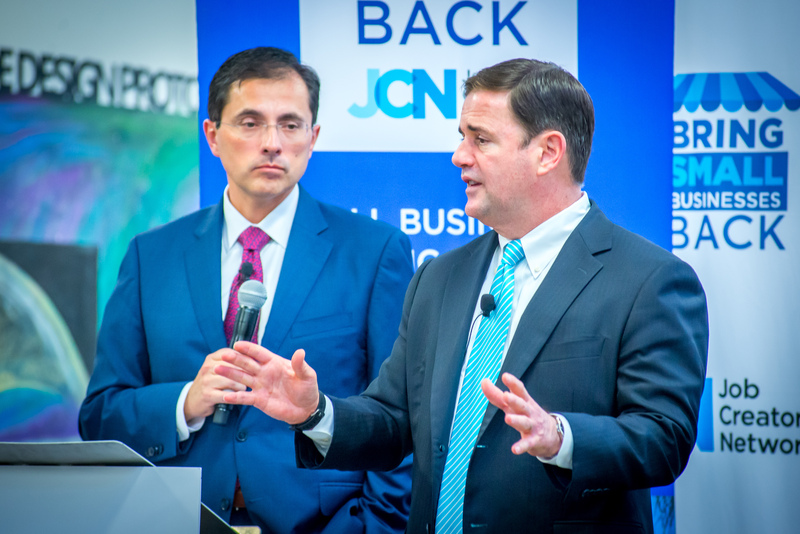 Our team was joined at the event by Arizona’s own Governor Doug Ducey. 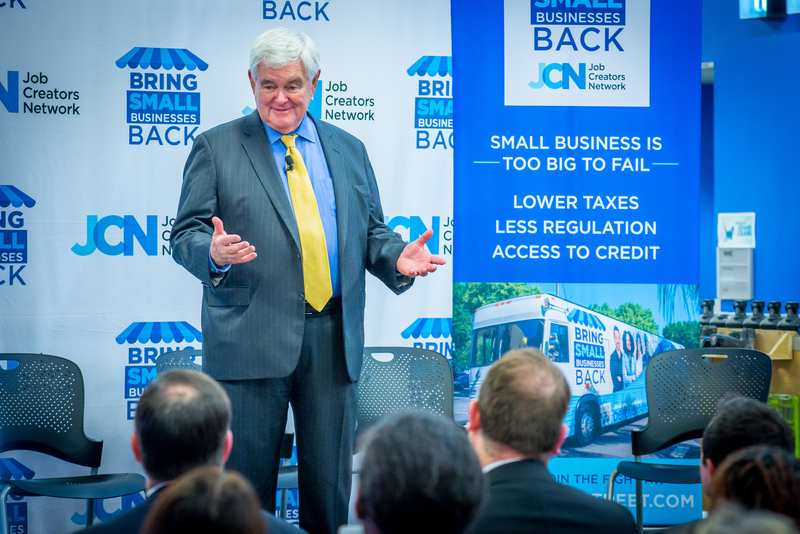 We were also joined by a surprise guest, the world famous former Speaker of the House, Newt Gingrich. 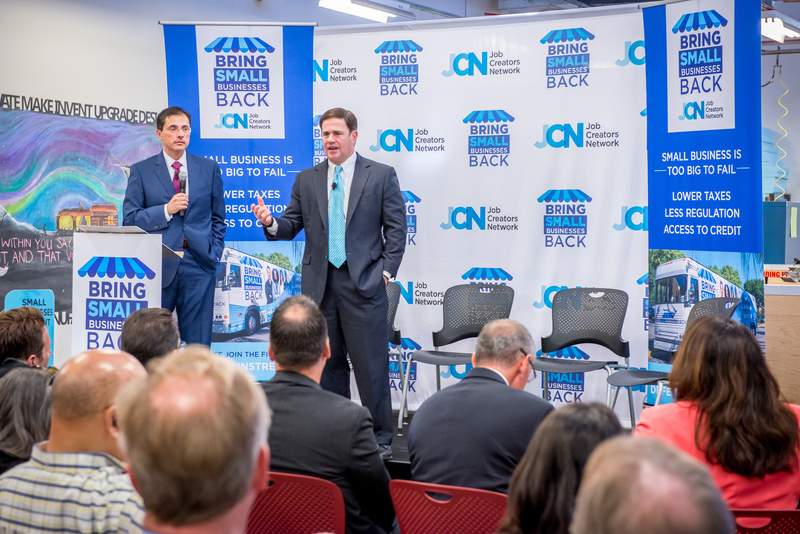 Our guests spoke at the event about the problems facing American small businesses today, and the strides Arizona and Job Creators Network are taking to fix those problems. Small business owners from across Arizona were in attendance as we discussed the overtaxation, overregulation, and lack of access to credit/capital that is crushing their opportunity to grow, and create jobs. JCN also hosted a panel discussion of Arizona small business owners to talk about the specific issues facing job creators in the Grand Canyon state. Joining Gov. 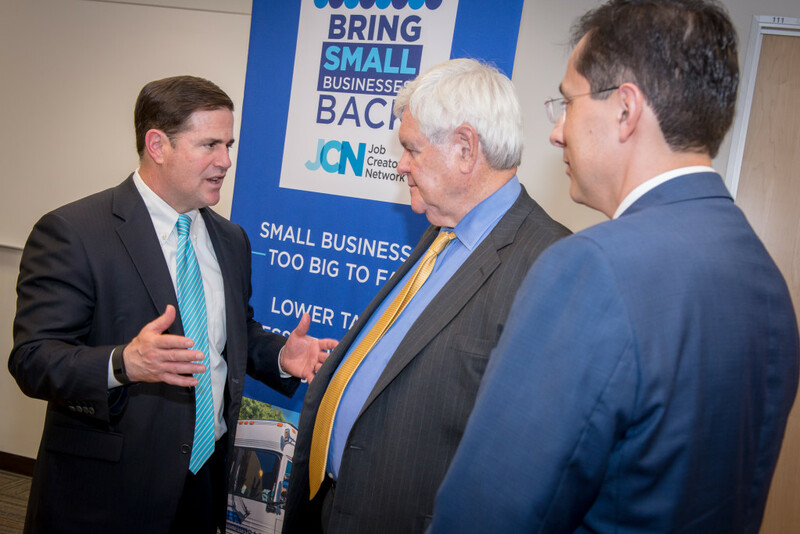 Ducey and Speaker Gingrich was JCN CEO Alfredo Ortiz who discussed how employers can work to educate their employees on how problems facing small business owners affect them, and their families, on a personal level. 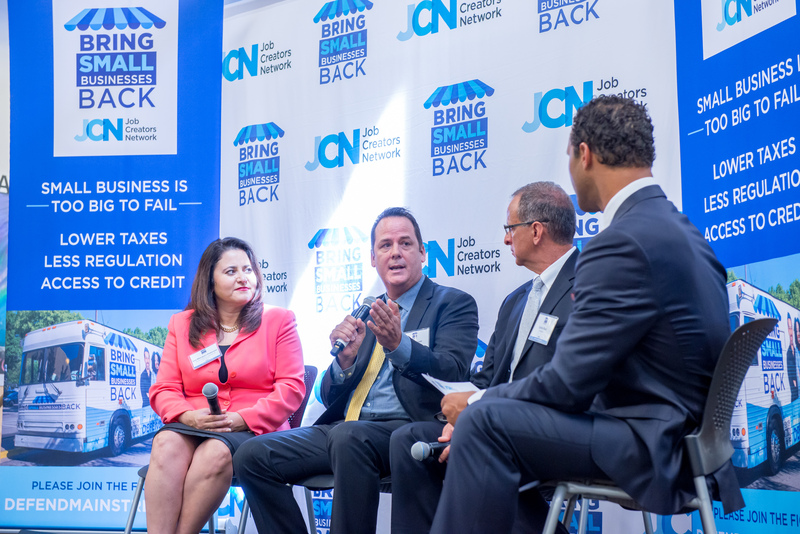 You can learn more about JCN’s mission to Bring Small Businesses Back here.